You’ve surely read the news about the historic first in Saudi Arabia. 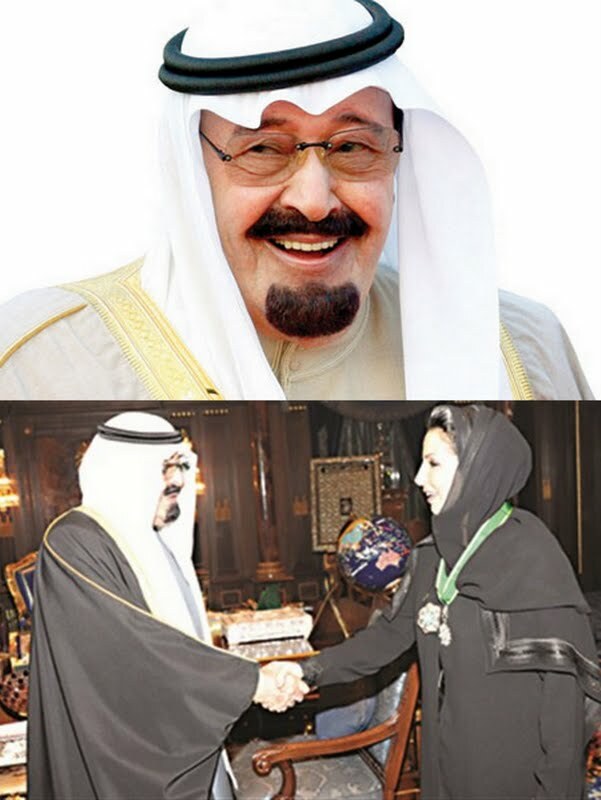 You’ve probably also read all or some of the names of the 30 Saudi women King Abdullah appointed to the previously all-male Consultative Assembly, better known as Majlis ash-Shoura or Shoura Council. Saudi women will henceforth constitute 20 percent of the 150-member body, which can draft and forward legislation to the monarch for approval before becoming law. The Assembly does have the power, however, to interpret laws and audit annual reports referred to it by state ministries and agencies. The king can consult it on policy matters, international treaties and economic plans, and it is also authorized to review the kingdom's annual budget, and call in ministers for questioning. The influence of the Assembly in its present form comes from its responsibility for the Kingdom's five-year development plans, from which the annual budgets are derived, its ability to summon government officials for questioning, and its role as a policy debate forum. Born in 1966, she joined the United Kingdom’s Richmond College as an undergraduate before enrolling at Surrey University for postgraduate studies. Her intellectual pursuits at Surrey University culminated in an MSc in Computational Intelligence and Computational Biology followed by a PhD in Computing. She has served as assistant dean of the College of Computing at Umm al-Qura University. Her stateside postgraduate studies were at The George Washington University’s Graduate School of Education and Human Development. Her doctoral degree is in Educational Administration and Policy Studies. She is now an academician at Prince Sultan University in Riyadh and contributes scholarly articles regularly to journals of higher education management. She was Undersecretary of the United Nations from 2001 to 2010 and the Executive Director of the United Nations Population Fund (UNFPA). In December 2004, Forbes magazine rated her among the 50 most powerful Arab Women. Natana DeLong-Bas, Deputy Editor for The Encyclopedia of the Islamic World and editor for The Oxford Dictionary of Islam, 2006, profiled her as one of 100 Muslim Builders of World Civilization and Culture in Notable Muslims, an Oxford-published book. Her university degrees in English literature: BA (minor in Sociology) from Mills College in Oakland, California; and an MA (minor in Sociology) and a PhD (minor in Cultural Anthropology), both from Wayne State University in Detroit, Michigan. She later received two honorary Doctor of Laws degrees. One was from her Alma Mater in Oakland for commitment to help people in developing countries, the other from Kwansei Gakuin University in Kobe, Japan, for contribution to the advancement of culture. Her outstanding commitment to global public service earned her an award from New York University’s Robert F. Wagner Graduate School of Public Service. A 64-year-old poetess and writer, she received her bachelor's degree in 1966 from the Beirut College for Women (BCW, renamed since as the Lebanese American University) before earning her MBA in 1969 from the American University of Beirut (AUB) and a PhD from the University of North Carolina in 1975. Currently living in Dhahran, she is a Saudi Arabian Oil Company (ARAMCO) consultant for planning. She also writes regular columns on current and controversial issues for the Saudi and Arab print media. The recipient of numerous scholastic awards, she is part of the Advisory Team of the Arab Thought Foundation, an NGO seeking to help advance the Arab region’s economic, social and cultural development. She got her BA and MA degrees in Educational Administration (EDAD) from Ohio University in Athens, Ohio, before receiving her doctorate in Educational Administration and Planning from Umm al-Qura University in Mecca. She has been serving at King Faisal University as Assistant Dean of the College of Applied Sciences and Community Service since 2007, and as Associate Professor at the College of Education since 2004. She is active in several women’s education societies and member of the Saudi Management Association. Born in Riyadh in 1975, she is Saudi-educated through and through, receiving her Bachelor’s, Master’s and PhD degrees from the College of Arts for Girls at the University of Dammam. She is currently an Associate Professor at King Faisal University’s College of Arts for Girls in al-Hasa. She received her MBA in Health Services Administration (International Development) in 1989 from Tulane University in New Orleans, Louisiana. Her PhD in Public Health in Health Services Administration from the University of Pittsburgh in Pennsylvania followed in 1995. Currently, she is (1) Director General (Women Branch) at the Institute of Public Administration (2) member of the Consulting Committee at the Saudi Alzheimer Disease Association (SADA) and (3) Honorary Research Associate at the University of Manchester. She has had stints as a consultant for the National Center of Alternative and Complementary Medicine and for the Armed Forces’ Hospital Institute of Health Services. Between 2003 and 2007, she was a board member of the Saudi Management Association. In the UAE last February and March, she was an Assessor at the Sheikh Khalifa Program for Excellence in Government. The National Geographic Society named her a 2011 Emerging Explorer. Born in 1967 in Mecca, she holds a BSc in Pharmacology from King’s College, London -- where she was a recipient of Princess Anne's Award for her undergraduate work on allergy -- and a PhD in Biotechnology from Cambridge University in 2001. Her major invention is a machine combining the effects of light and ultra-sound for use in biotechnology called MARS (Magnetic Acoustic Resonance Sensor). It was patented during her doctorate work at Cambridge University’s Institute of Biotechnology. She now plans to build a world-class biotechnology center of excellence in Saudi Arabia with the support of Harvard and MIT. Last October 1, the head of the United Nations Educational, Scientific and Cultural Organization (UNESCO), Irina Bokova, nominated the Saudi researcher as a Goodwill Ambassador to support science education, especially among girls. Born in al-Jouf province, she is another renowned Saudi female scientist. 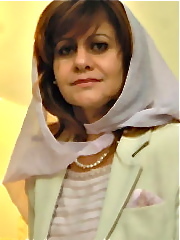 After earning her MD in Medicine and General Surgery from King Saud University in Riyadh, she developed a passion for pathology research and practice.She thus completed a residency in Clinical Pathology followed by a fellowship in Hematopathology and Molecular Diagnostics at Georgetown University Hospital in Washington DC. The American Journal of Pathology has published the findings of her team’s research into colorectal cancer at King Faisal Specialist Hospital and Research Center in Riyadh. She is herself associate editor of BMC Genomics, an online journal published by the UK-based BioMed Central. 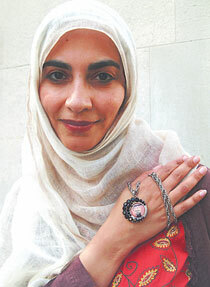 In January 2010, she became the first Saudi female recipient of the King Abdulaziz Award of Excellence (First Order). She is a graduate of the College of Arts and Humanities at Princess Nora bint Abdulrahman University, the largest women-only university in the world with a campus for 52,000 girl students. She is recognized as one of the most prolific and authoritative authors and writers on the history of the Arabian Peninsula. Muslim historians throughout the ages, be they cultural, religious, medical or military, have recorded women’s contributions to Arabic and Islamic society. No biographical dictionary of any worth was considered complete unless it mentioned prominent women, a tradition stemming from the earliest Islamic biographies, which all included the female companions of the Prophet as well as mothers of notable men. However, little has been written about the contribution of women from more recent contemporary central Arabian society. Published in association with Saudi Arabia's King Abdulaziz Foundation for Research and Archives, "Prominent Women from Central Arabia" explores sources ranging from published material to manuscripts, documents and oral history in an attempt to redress the balance. In all, the book contains 52 biographies of women who lived from the beginning of the 18th century until the death of King Abdulaziz in 1953. The women studied include notable poets, educators and great donors of charitable works, amongst others. Above all, the book highlights the enormous contribution of the women of Central Arabia during the period under consideration, demonstrating that, contrary to popular misconception, their influence has in fact been highly significant. She received her MBBS (Bachelor of Medicine and Bachelor of Surgery) from King Saud University in 1980 and her Diploma of Obstetrics and Gynecology from the Health Ministry in collaboration with the Clinical Institute of Obstetrics and Gynecology (CIOG) in London in 1986. She became an MRCOB (Member, Royal College of Obstetricians and Gynecologists, UK) in 1993 and completed her IVF (In Vitro Fertilization) specialization in 2001. One of late King Faisal’s daughters, she established the private al-Tarbeya al-Islamiya Schools in 1964 to introduce Arab culture to indigenous students in Riyadh city. The schools’ ownership went to Ta’leem (Arabic for Teaching) in 2007. She is now chairman of the board of al-Nahda, a charitable women’s society she co-founded in 1962 and dedicated to empowering Saudi women socially and economically through financial and social support, training and employment. She became the first Saudi woman to head a medical department in 1997 and is now into her 16th year at the helm of the Department of Ophthalmology at the 893-bed King Faisal Specialist Hospital and Research Center in Riyadh. At a young age, she relocated with her family to Tucson, Arizona, where she enrolled at Tucson High, before returning to the Kingdom and graduating from King Saud University as a Doctor of Medicine. Postgraduate studies at the Medical School of Johns Hopkins University and residency at John Hopkins Hospital followed. She is ascribed groundbreaking research on rescuing the eyesight of premature babies and published an acclaimed paper on genetic eye diseases in Saudi Arabia. Marquis Who's Who, the preeminent publisher of biographical information since 1899, named her one of the most prominent personalities for 1997. The American Biographical Institute chose her as woman of the year in 1998. 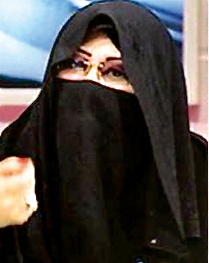 She’s been into zoology and entomology studies and research for 10 years at Princess Nora bint Abdulrahman University. Her BSc degree was in zoology, or the scientific study of the behavior, structure, physiology, classification and distribution of animals. Her Master’s and PhD were in entomology, which is the branch of zoology concerned with the study of insects. She is now a faculty member of the Biology Department at al-Kharj University in al-Kharj city in central Saudi Arabia. She is also into thematic committees at the Saudi Biological Society and the Egyptian Entomological Society. A daughter of the late King Khalid, she has spent more than 32 years in social welfare work. She is the general secretary of both the King Khalid Foundation and the al-Nahda women’s philanthropic society. The King Khalid Foundation is a charitable organization established in 2001 focusing on the provision of funds and support for training, capacity building, technical assistance, community development and emergency relief projects in the Kingdom. Al-Nahda was founded in Riyadh in 1961 and aims to empower underprivileged women socially, economically and legally and raise their health and education standards. It works in association with similar institutions of civil society to provide special welfare services to help beneficiaries solve, among other things, family problems caused by unemployment, domestic violence and divorce. Al-Nahda has also launched a number of pioneer projects, such as the provision of housing to underprivileged families, the establishment of Down’s syndrome schools and the development of projects for the employment of women in factories. Alongside her consultancy work, she teaches Psychology at the College of Education in King Saud University. That’s where she earned her Bachelor’s in Social Services and Master’s in Psychology before receiving her PhD (with High Honors) from Imam Muhammad bin Saud Islamic University in 2008. Imam Muhammad bin Saud Islamic University, which has more than 24,000 students and 1,700 Faculty, is organized into 11 colleges – namely, of Sharia, Fundamentals of Islam, Arabic Language, Social Sciences, Advocacy and Media, Languages and Translation, Computer Sciences and Information, Economics and Administration, Sciences, Medicine, and Engineering. A native of al-Qateef in the Eastern Province, she is a consultant in pediatrics and neonatology at the Maternity and Children Hospital in Dammam, where she heads the intensive care unit for newborns. She earned her MD from King Saud University’s College of Medicine. Besides being a renowned pediatrician, her work for social welfare and charity societies in Qateef and elsewhere is ceaseless. You wouldn’t think, but she is also an aficionada of poetry. She earned her doctorate in Physical Chemistry from Imperial College London in 1993 and is now into the College of Science and the College of Computer & Information Sciences at Princess Nora bint Adurrahman University heart and soul. 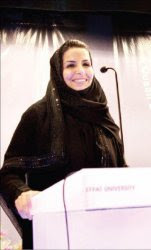 She has contributed several studies to specialized physical chemistry journals overseas and is member of the Saudi Chemical Society, the Saudi Society for Educational and Psychological Studies, the Saudi Management Association and the Saudi Computer Society. 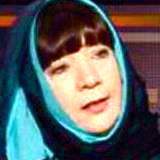 She is a Doctor of Philosophy (PhD) in Social Work from the University of Manchester who headed the Girls’ Care Institution in Mecca for 12 years between 1984 and 1996. She has been an assistant dean at Umm al-Qura University in Mecca since 2006. Currently an assistant professor at King Saud University’s College of Education, she earned her MA in Educational Sciences from Indiana University in the United States and her PhD in Arabic Teaching Methods from Imam Muhammad bin Saud Islamic University. She chaired the European languages unit at King Saud University’s College of Languages and Translation and participated in conferences and workshops sponsored by the Saudi Association of Languages and Translation. Her aptitude for translation meant she was co-opted in 1999 as a consultant to the group of experts linked to the Council of Ministers and in 2011 as a board member of the joint Saudi-French Business Council. Her language and translation services have also been retained by the Defense Ministry’s Public Affairs Department, as well as by the ministries of Health, Culture and Information. A PhD graduate of the Faculty of Social Services at Princess Nora University, she has been a long-serving chief librarian at PNU, which has a new library capable of holding no less than 4.5 million volumes. 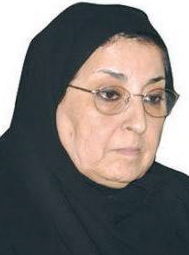 She served as managing director of the women’s section in al-Riyadh daily for 20 years ending in 2010. She headed and led the PNU delegation to the International Book Fair in Riyadh, Geneva and Istanbul. She has also chaired the women’s information committee at the annual Janadriyah Festival, which showcases the Kingdom’s culture and heritage. She teaches at the Department of Psychology that she chairs at King Saud University, which is where she earned her PhD in the discipline. She has done consultancy work for the Shoura Council and the Ministry of Education and is a founding member of the National Society for Human Rights (NSHR) and member of Prince Salman Center for Disability Research. She’s also associated with al-Mawadda Charity Association, which strives to support and help divorcees. In April 2009, she was co-opted to join the Saudi delegation to the 120th IPU (Inter-Parliamentary Union) Assembly in Addis Ababa. She is a prolific writer on Psychology, including a book in Arabic tackling the middle stage of psychosocial development. She is one of the growing numbers of Saudi women to have passed the gate of sciences. She is a Professor of Physics at Princess Nora bint Abdurrahman University’s Faculty of Science and the university’s Vice-Rector of Postgraduate Studies and Scientific Research. Holding a doctorate in Experimental Physics (both nuclear and radiological), she is very much into research and experiments applicable to her major disciplines. For instance, she showed in one published research how the sciences of physics, the environment and archaeology converge, using gamma ray to determine the dates of ancient artifacts in areas like Najran, Taj and al-Ukhdood, check the natural radiation in the local construction materials, as well as measure the rates of radioactive radon gas in buildings. She has been a member of the World Organization of Family Doctors since 1994 and the American Academy of Family Medicine since 1998. She is also a fellow of the Royal College of Physicians of London, a British professional body of doctors of general medicine and its subspecialties. She followed up her MD in Family Medicine from King Saud University by tutoring at its Family and Community Medicine College. Consultancy work at King Khalid University Hospital was next on the cards. She presented papers to the 15th World Conference of Family Medicine in Dublin and to the conference on health education and professions organized by the Faculty of Medicine at the University of Toronto in Ontario, Canada. She holds a Master of Science degree in Psychology from the University of Surrey in England and a doctorate in the discipline from Princess Nora University in Riyadh. She is member of the Canadian Psychological Association, which is the primary organization representing psychologists throughout Canada, of the Saudi Association for Educational and Psychological Sciences and of the Egyptian Association for Psychological Studies. She earned her BA from the College of Advocacy and Media at Imam Muhammad bin Saud Islamic University and her Master’s from the latter’s College of Social Sciences. Her doctorate in the Philosophy of Education from Princess Nora bint Abdurrahman University followed in 2011. 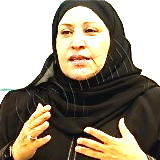 She has since been appointed dean of the Education Department at Salman bin Abdulaziz University in al-Kharj. She has been Obstetrics and Gynecology practitioner, associate professor and consultant all her working life, chiefly at King Khalid University’s Faculty of Medicine and Medical Sciences and at the Abha General Hospital. She is currently dean of student affairs at her Alma Mater -- King Khalid University in Abha city. KKU is a public university with around 70,000 students, distributed over several towns in the ‘Asir Province in southwest Saudi Arabia, including Abha and al-Namas. A 1964 native of ‘Asir Province, she dabbled in Arabic literature and poetry as a young girl. By the end of her secondary years, some of her poems had made their way into the Saudi print media under her penname, “The Saudi Wafa’” (وفاء السعودية). By university age, she was publishing her prose writings and poems under her real name. Meantime, she had joined the University of Tabuk for a BA in Arabic and Arabic Literature, followed by a Master’s from Prince Sultan University’s College for Women in Riyadh. She is now back teaching at the University of Tabuk, but she still contributes a regular column for al-Yamamah (The Dove in Arabic) weekly magazine. She is a member of the Board of Princess Nora Bint Abdurrahman University and the Dean of its Faculty of Science. She is also member of the Saudi Association for Mathematical Sciences.